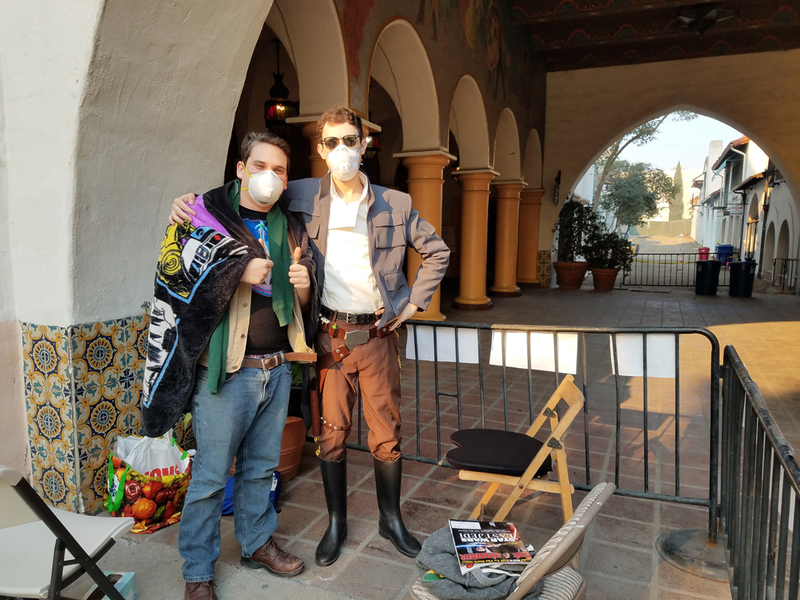 The Thomas Fire has shut down most of Santa Barbara County's holiday events, but "Star Wars" fans are not easily deterred. 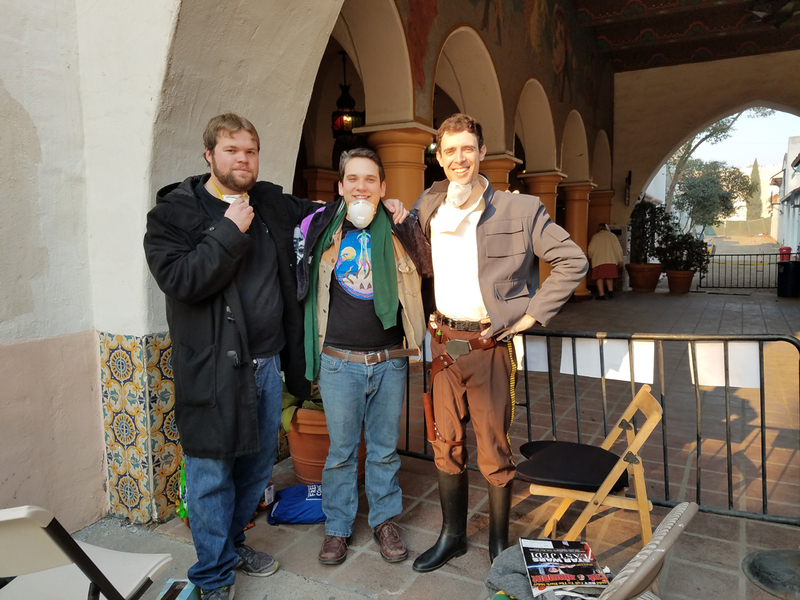 Santa Barbarans Jim Tourville and Mack Petersen were in line 12 hours before the Arlington Theatre's Thursday night local premier of Star Wars: The Last Jedi. They were the first ones in the VIP early entry line, with their friend Tom Chorney, who was visiting from Atascadero. They were wearing "Star Wars" gear and masks — but not of the Darth Vader or Boba Fett variety. All three men sported N-95 masks in line to protect against Santa Barbara's unhealthy air pollution from the raging nearby Thomas Fire, which had burned 249,500 acres as of Thursday night. Tourville and Petersen both work at the nearby Metro Entertainment comic book and game store, at 6 W. Anapamu St. They were prepared for a long day in line, and already picked out their theater seats — the very front row, where the sound quality is best, they said. Dozens more people had joined the line by Thursday afternoon, still hours ahead of the 7 p.m. showing. Star Wars: The Last Jedi was having its first Santa Barbara showings Thursday night. — Noozhawk managing editor Giana Magnoli can be reached at gmagnoli@noozhawk.com .